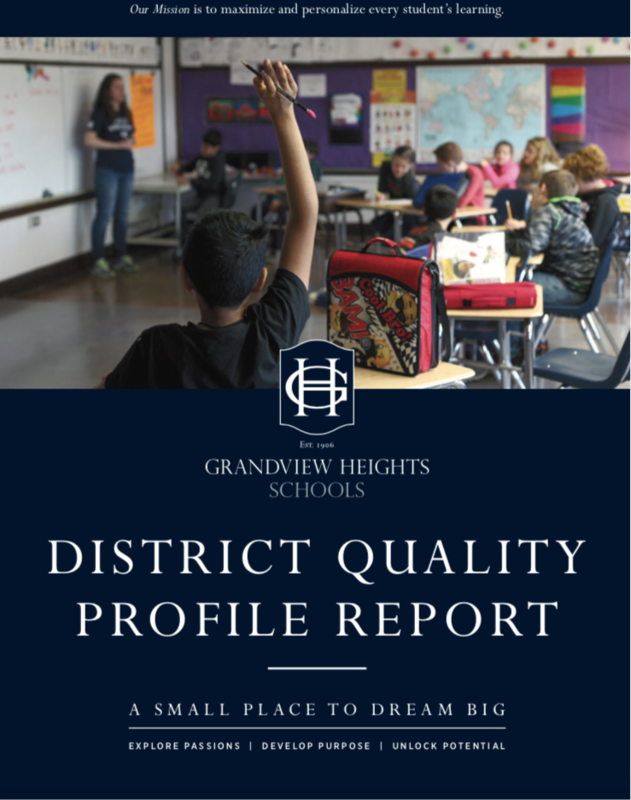 This month Grandview Heights Schools issues its' first District Quality Profile Report to the community. All district residents should receive the 12-page report in their mailboxes. The report includes a Superintendent's Message, Board of Education information, and details the districts three major goals. Goal 1 is Academic Performance & Growth, Global Competencies; Goal 2 is Fiscal Responsibility & Sustainability; and Goal 3 is Operations & Facilities. Reports can also be found in the main office of the school buildings, at the Grandview Heights Public Library, and online below.